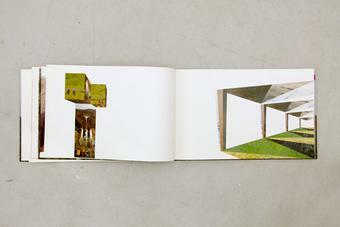 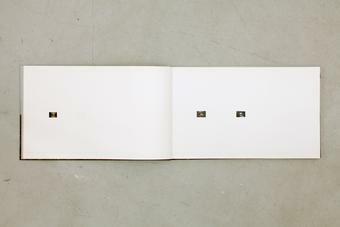 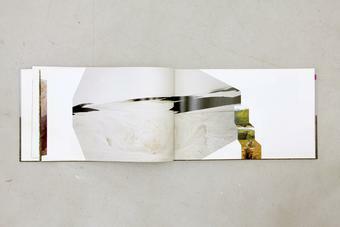 This independent book was published to accompany the exhibition of Eliasson’s installation Sonne statt Regen, 2003, in the Städtische Galerie im Lenbachhaus und Kunstbau München, Germany, curated by Susanne Gaensheimer. The catalogue, designed by Andreas Koch, István Scheibler, and Stefan Stefanescu, brings into play a large number of Eliasson’s photographs from Iceland, organised in a strong, narrative, space-evoking sequence. 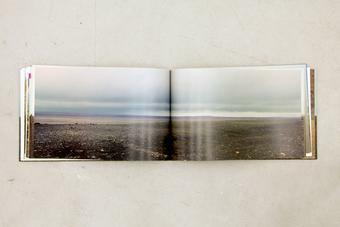 Beginning with small, discrete photos, the image composition is gradually intensified: perspectival distortions of the images and details are eventually merged to create crystalline, spatial collages. 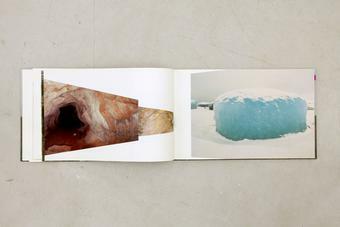 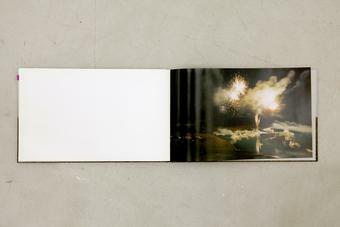 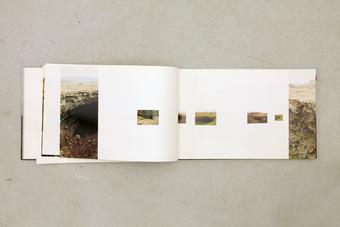 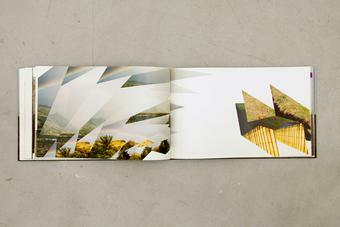 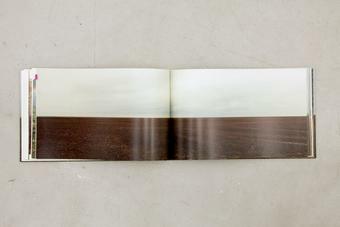 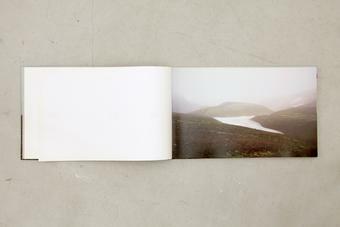 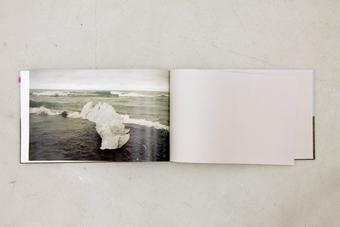 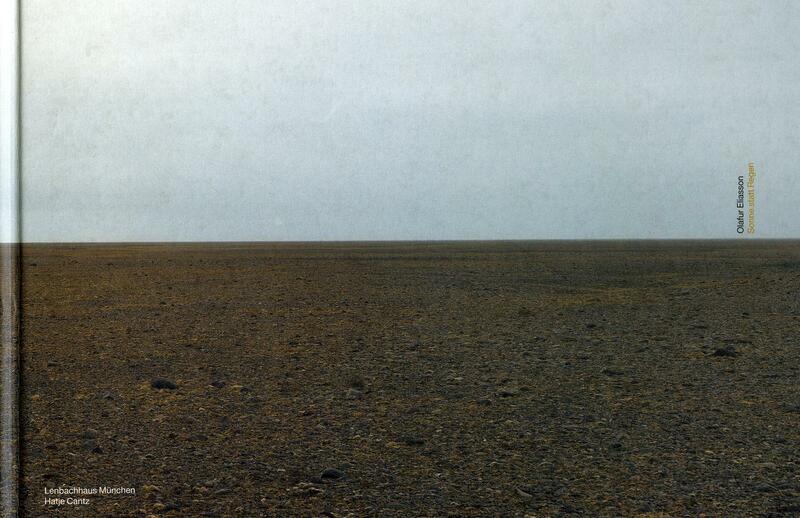 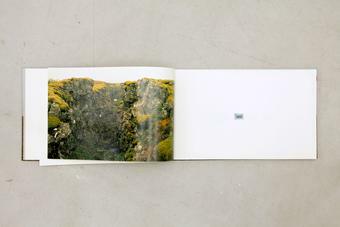 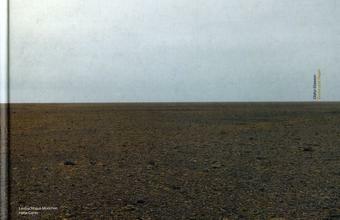 Then follows the core of the book, a calm sequence of photographs from Eliasson’s The horizon series, 2002 (forty C-prints), rounded off by another, shorter, collage sequence.